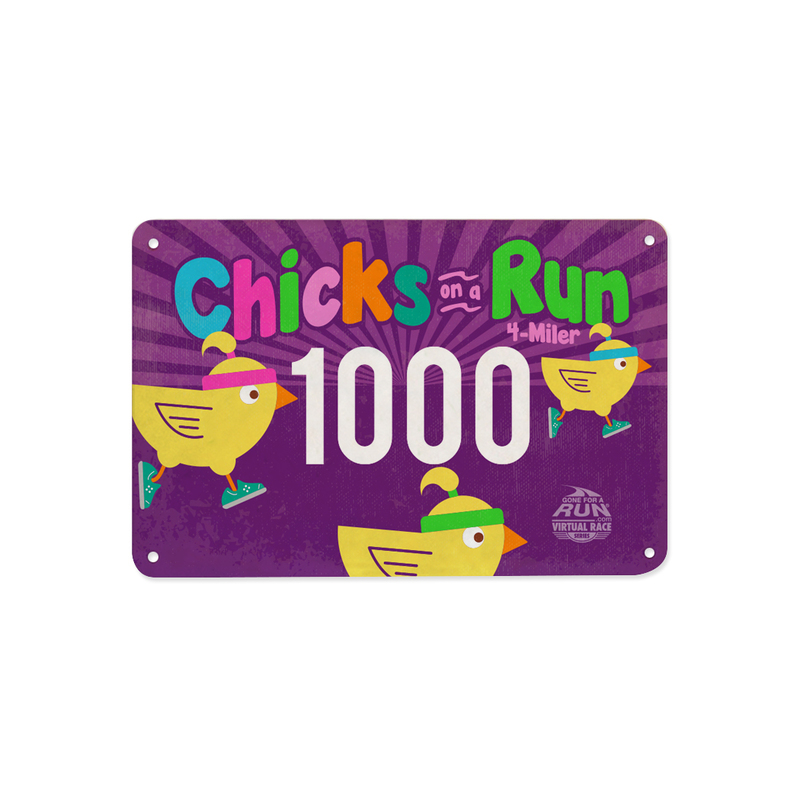 Road Runner Girl: Chicks On A Run 4 Mile Virtual Race! 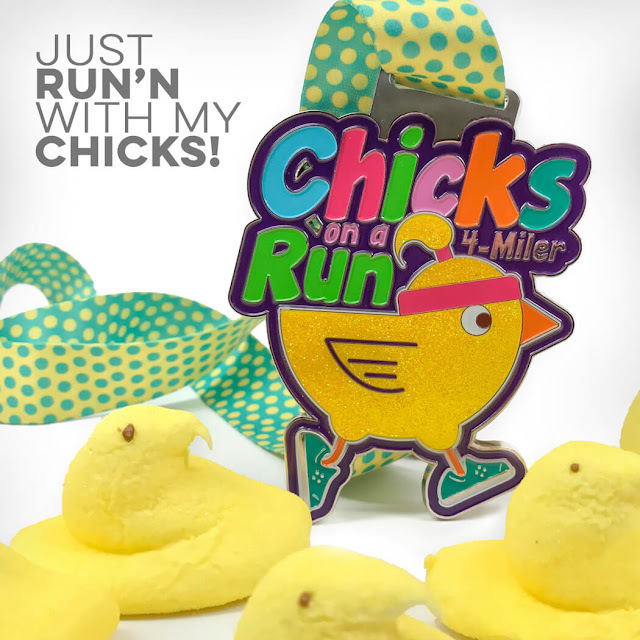 Chicks On A Run 4 Mile Virtual Race! The next race I'm participating in is the Chicks On A Run 4 Miler!!! This race is a 4 mile virtual race. The race will be held April 13th-19th. The great thing about a virtual race...you can run it anywhere and at any time! It just has to be during those dates. And you can pick your own course to run! Pretty sweet! How about the race swag? Included in your entry fee is a race bib (no printed ones...these are on the same paper as the bibs at real races) and a large Chicks On A Run GLITTERY Medal!!! 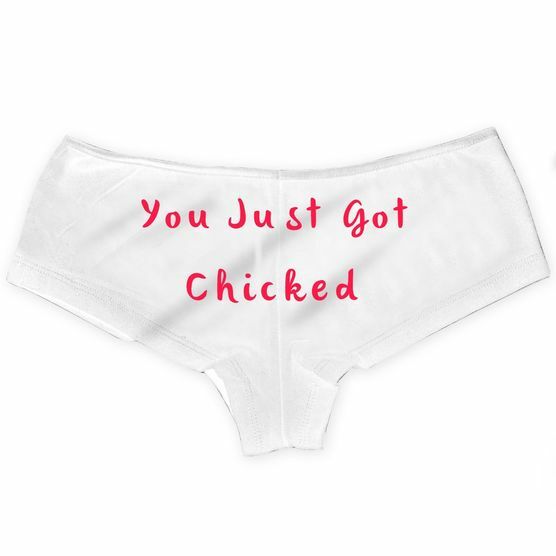 As with all their races GoneForARun.com also has some race packet add-ons! 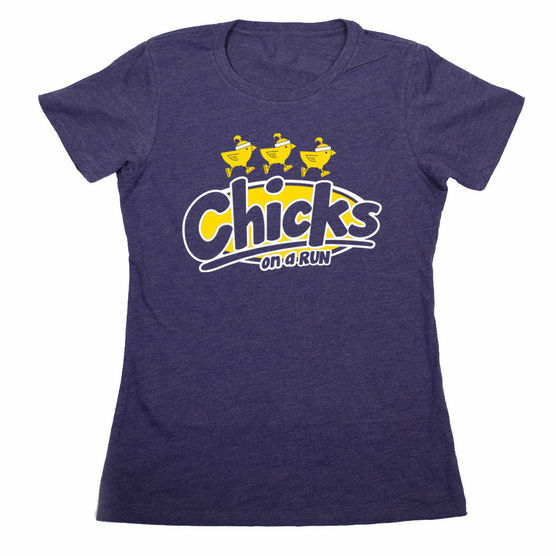 Add a women's or men's runners tee for $12.99! Add You Just Got Chicked Knee Socks for $4.78! 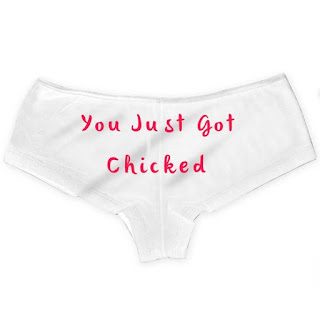 Add You Just Got Chicked Women's Runner Shorties for $7.99! 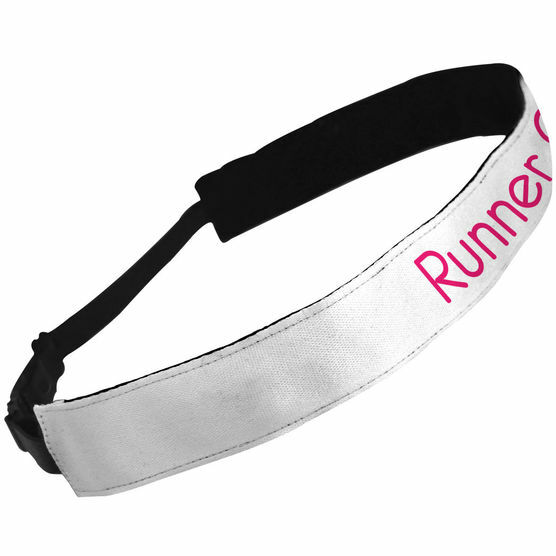 Add a no slip Runner Chick headband for $9.59! 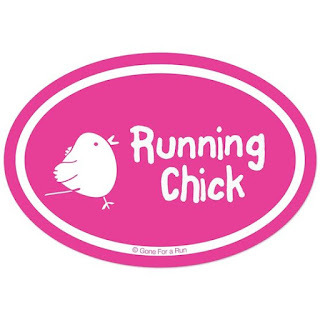 Add a Runner Chick Decal for $3.19! You must register soon in order to receive your race packet in time! Basic registration is $25.00. Add the appropriate amount for any of the add-ons! By running this race you will also be supporting an amazing charity. 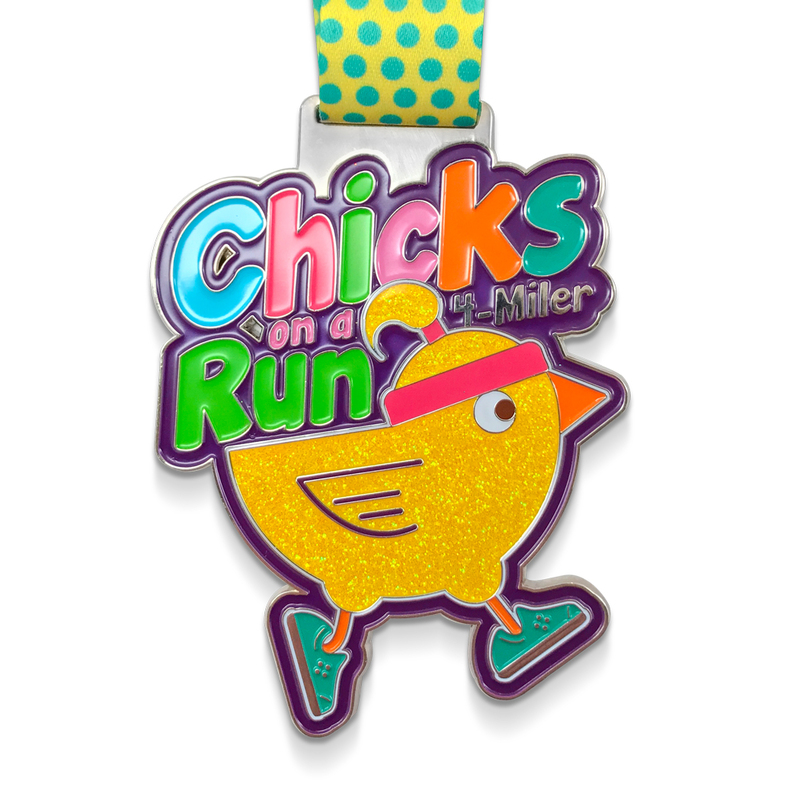 A percentage of your race entry will be donated to Girls On The Run International. Girls On The Run International is an amazing non-profit organization dedicated to helping girls achieve their dreams through running. Please read about the great success of the non-profit at www.girlsontherun.org. Once you complete your race...share it with the world! Post it on the GoneForARun Virtual Race Series Facebook Page! Be sure to share your race experience on Twitter and Instagram! I hope you have an amazing race!! !